Quick Comment: More of a detox product than a weight los product. Where To Buy: many pharmacies and health supplement stockists including Value Drug Mart, Pharmachoice Lawtons, Loblaws, Provigo. The product can be purchased from many leading pharmacies, including Pharmaprix, Jean Coutu, and Shoppers Drugs Mart. It is also available from the New Nordic website, free shipping is offered for orders over $45 (Canadian residents only), but there is no money back guarantee. What Is Biofirm and How Does it Work? Biofirm is marketed as a detoxification plan, but this is rather a grand title for a product that is nothing than a pill containing some herbs. The pills promise to work in harmony with the body’s main detoxifying organs and New Nordic stress the importance of drinking at least 1 ½ to 2 liters of water a day. The recommended dose is two tablets, taken three times a day, but potential buyers should be aware each pack has a retail price of $34.95, and contains just 60 tablets; so this supplement can be quite an expensive option. Chicory Root (295 g): Used her to promote a healthy liver and optimize colon function. Any benefits to the colon are debatable, but chicory has a long history of use as a tonic for the liver, and also for purifying the blood, so its inclusion is not without merit. Bitter Orange (130 mg): A popular ingredient in weight loss supplements due to its supposed (but unproven) ability to increase the body’s fat burning ability. Psyllium (88 mg): Sourced from the shrub-like herb plantago ovate, psyllium is a soluble fiber often used in laxatives. Spirulina (60 mg): A nutrient-rich algae. Some studies show it may boost the immune system, but the reason for its inclusion here is a mystery. Dandelion (50 mg): Traditionally used by Indian medicine men as a treatment for kidney disease and to remedy skin problems, but the many proclaimed benefits of dandelion have not been scientifically proven. Red Clover (50 mg): A known diuretic with a reputation for cleaning the blood and helping to cleanse the liver. Artichoke (37 mg): Often used to stimulate the flow of bile from the liver, and for treating bladder infections, but further study is required. Golden Rod (33.34 mg): A natural diuretic that is also used to treat skin conditions. Thyme (29.20 mg): Thyme has many uses, and is a known diuretic, but apparently used here for its “anti-fungal abilities” (not something that thyme is famous for). Milk Thistle (20 mg): Has been used for over 2,000 years as a treatment for liver, bile duct, and gallbladder disorders. In 1968 researchers discovered the presence of a substance called silymarin and speculated this may be the active ingredient in milk thistle. Potassium (36 mg): A valuable mineral that is important to many bodily functions, but the reason for its use here is not explained. Magnesium (16.68 mg): Another valuable mineral, but yet again the reason for its inclusion remains a mystery. No negative reactions have been reported, but some of the ingredients may be an issue for some users. Chicory: Known to be unsafe for use by pregnant or nursing mothers. May also cause allergic reactions in some users and can be very problematic to anyone who suffers from gallstones. Goldenrod: May raise sodium levels and increase blood pressure—a particular cause for concern if the blood pressure is already high. Many of the other ingredients also have known issues, so it is strongly recommended that medical advice be sought before using this product. Biofirm is not a recommended product—for detox or weight management. Many better alternatives are available and the consumer is advised to look elsewhere. Available over the counter in many Canadian pharmacies and health supplement stockists including: Drugstore Pharmacy, Rexall, Walmart and Pharmasave. 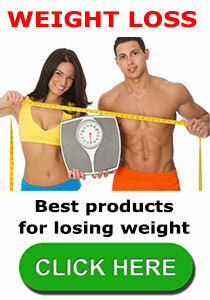 To find out what are recommended diet pills are please follow the link below. This entry was posted in Detox and tagged Biofirm Canada, Biofirm Extra Strength, Biofirm GNC, Biofirm Results, Bioform Loblaws, Does Biofirm Work by admin. Bookmark the permalink.